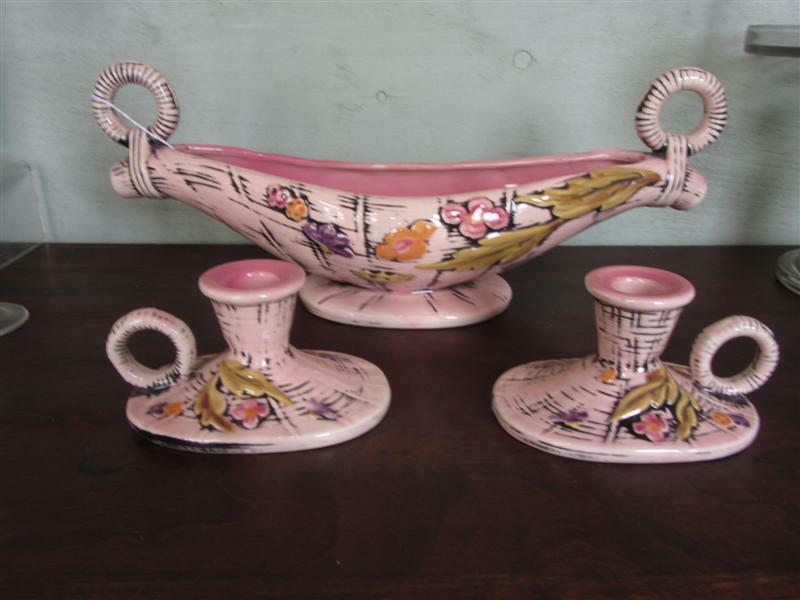 This is a three piece set produced by the Hull Pottery Company in 1955. They call this pattern “Blossom Flite”. Pretty pale pink outside with purple, orange, and pink flowers. The inside is a darker pink. The console bowl measures 16 1/2″ long and stands almost 7″ tall. The candle holders have an oval base with a finger loop, the base measures 5 1/4″. All these pieces have a high gloss glaze and are in great condition with no cracks or chips.